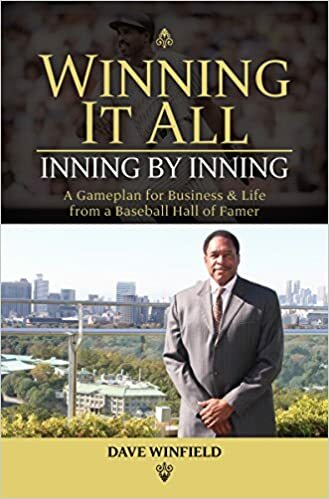 An accomplished author, Dave’s autobiography, Winfield: A Player’s Life was a New York Times best-seller. He also wrote a drug education book, TURN IT AROUND! There’s No Room Here For Drugs; the acclaimed “how-to” The Complete Baseball Player; Ask Dave (a compilation of his syndicated children’s advice columns), and his latest… Dropping The Ball (released in paperback as Making the Play), an in-depth look at baseball’s current problems and possible solutions. Dave is a frequent contributor to the New York Times and Los Angeles Times. Throughout my entire life, especially since my MLB career ended, I’ve had the desire to be a communicator. I’ve always been connected to business; I have spent time as a broadcaster, a management consultant, a motivational speaker, and I’ve written books, columns, and stories for wide audiences. I am a parent and a youth coach as well. I developed this book as a source of advice, or coaching directly from me for your improvement in all realms— business, sports, and life. If you coach or manage people, you can use it as a tool for guiding those under your supervision.